28th November 2018 | filed under Aesthetic Treatments, Non-Surgical. With Christmas being the most sociable time of year for a lot of people, it’s not surprising that it’s also often the most popular time for those seeking cosmetic treatments. After all, everyone wants to look fabulous in that all important festive party selfie. With an increasing number of people booking non-invasive treatments around this time of year we look at the most popular festive fixes such as Thermage, dermal fillers, botox and non-surgical fat removal procedures. Delivering impressive results these technologies contour and refine facial features, so you can feel your most confident self, ready for your close up. You may have been thinking about a facelift lately, but with the holidays nearly upon us, the last thing you want is to go under the knife. With non-invasive Thermage, the downtime is minimal and the results impressive. Thermage is a tried and tested approach to skin tightening that uses a radiofrequency technology called Thermacool to stimulate collagen production, which in turn firms and tightens lax skin. Your complexion will be smoother and more youthful-looking, as unwanted wrinkles and sagging skin are rejuvenated. Get glowing skin right on time for the festive season and don’t be afraid of snapping those pictures. Want to Do Something About Those Jowls? As we age, our facial skin begins to sag towards the jawline on either side of the mouth; this is what we call ‘jowls’. If you’re feeling self-conscious about them – or simply wish to treat yourself ahead of all the family pictures you’ll be appearing in – why not try our dermal fillers? Dermal fillers are perfect for smoothing the appearance of deep grooves and facial wrinkles, enhancing your facial features and restoring lost volume. By using strategic placement of fillers in the mid face, this restores the facial proportions creating a lifting effect on the jawlines. While results will depend on how much filler is used, the area treated and the condition of the skin, the results are immediate and with minimal downtime. Most women will agree that one of the most familiar issues is the excess fat and undefined jawline more commonly known as the double chin. The skin becomes lax and saggy and the subcutaneous fat under the chin can also start weighing down, aided by gravity. This can be caused by hormonal changes, weight gain, age or side effects to medication. 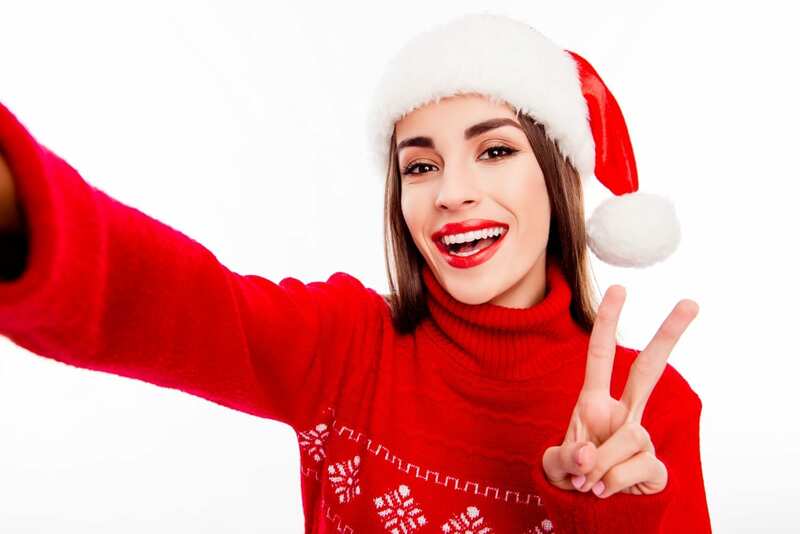 Chin liposuction can help you to regain lost confidence and be ready for all the Christmas selfies coming your way. And you won’t want to pose at an angle or add any special effects to the photos either, preferring to show off your newly-defined facial features instead. Best of all, you won’t have to go under the knife in order to achieve the look you seek. We offer non-surgical fat removal and non-invasive skin-tightening procedures like focused ultrasound that will gently sculpt and contour the treated area. An example is Vaser, which offers a shorter treatment time and less downtime by utilising fat removal based on ultrasound technology. No more filtering your selfies this Christmas season – if you’re self-conscious about facial lines and wrinkles, why not try out Botox? This procedure, which is the most popular aesthetic treatment in the USA, is a safe and effective way to treat facial lines and furrows and takes only between 15 and 30 minutes. Common areas treated with this procedure include crow’s feet, brow lines, bunny lines and the glabella. If you have lips on the thinner side and are a little self-conscious because of it – or simply wish to have fuller, more sensuous lips – why not give yourself a great Christmas gift by getting the lip fillers you always wanted? We introduce small amounts of hyaluronic acid gel filler which will enhance the lip shape and size, and even create a more augmented cupid’s bow if you prefer. Quick and easy, this procedure also offers very little downtime, meaning you’ll be ready to start snapping selfies to your heart’s content. 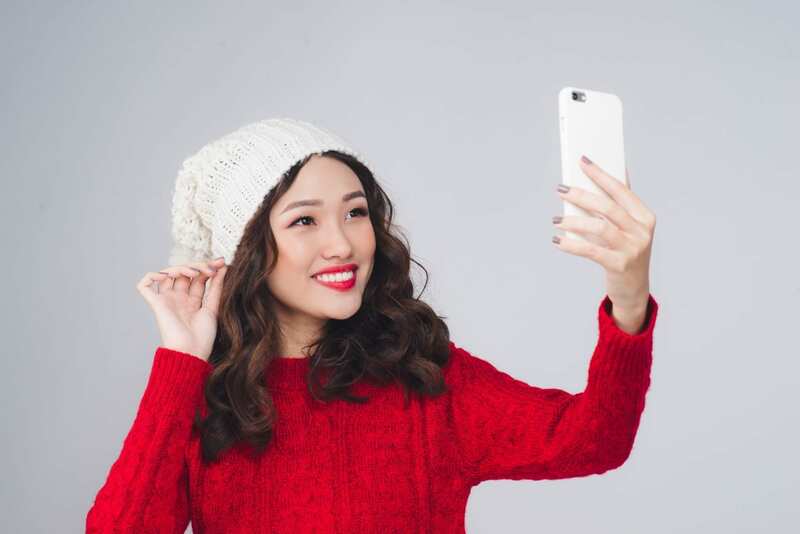 After all, everyone wants to look their best in all party selfies, be it at the office or with family and friends, and plumper lips can certainly help you to feel more confident. No other time of year gives you so many opportunities to immortalise your features for posterity than the festive season. With Christmas and New Year on the way, now is the right moment to freshen up your complexion or enhance your beautiful smile. We offer non-surgical fat removal in Jersey, non-surgical fat removal Guernsey or non-surgical fat removal in Belfast that can help you to accomplish your aesthetic needs in time for all those party selfies.